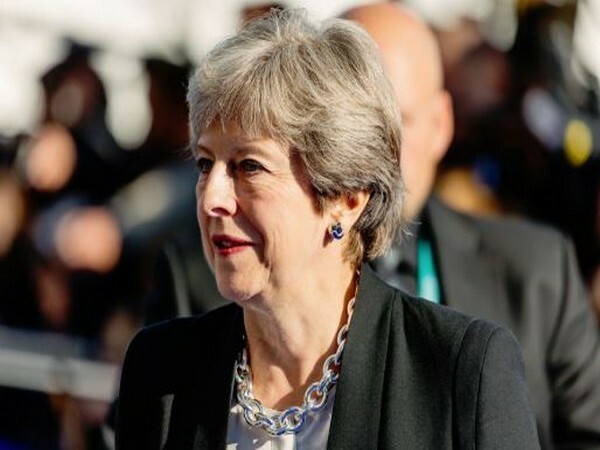 London [UK], Apr 8 (ANI): Amid the political chaos surrounding the UK's exit from the European Union, British Prime Minister Theresa May has admitted that her beleaguered Brexit deal will get a green signal only if it is supported by the opposition Labour Party. London [Britain], Apr 3 (ANI): Signalling all is not well in UK Prime Minister Theresa May's Cabinet, second Conservative minister Chris Heaton-Harris quit on Wednesday (local time) after May's decision to hold talks with the Labour Party leader Jeremy Corbyn. London [United Kingdom], Feb 26 (ANI): The Labour Party will "put forward or support" an amendment in favour of a public vote to prevent a "damaging Tory Brexit," according to an official statement. Washington DC [USA], Jan 27 (ANI): US President Donald Trump has drawn the ire of supporters and Republicans alike after he ended his demand for Congress to fund the proposed wall along the Mexican border. London [UK], Dec 13 (ANI): Embattled British Prime Minister Theresa May on Wednesday comfortably sailed through the no-confidence vote initiated by her disgruntled lawmakers of the Conservative Party over her handling of the Brexit negotiations. London [UK], Dec 05 (ANI): The United Kingdom government's move to not publish the full legal advice based on which it formulated the Brexit plan, was on Tuesday (local time) found to be in contempt of the Parliament. Washington D.C. [USA], Jul 2 (ANI): United States President Donald Trump on Sunday predicted a "big week" ahead as he is preparing to nominate a judge of the Supreme Court to replace Justice Anthony Kennedy. Moscow [Russia], June 27 (ANI): Canadian Prime Minister Justin Trudeau's opponents, the Canadian Conservative Party, slammed him for taking too many days off, too often. Tokyo [Japan] May 27(ANI): Former Japanese Prime Minister Yasuhiro Nakasone, a World War II naval officer has turned 100 on Sunday, fitting in a country known for longevity.